As 13 yr old Nelson embarks in a big step up in his keeper journey he relies on his J4K gloves in the National Premier League competition in Brisbane Queensland Australia ..... They were a big part of his first match of the season. A 2-0 win for his team & a 'clean sheet'! PS. Ray your timing is impeccable! We were about to order a new pair this week. I found just4keepers whilst on the hunt for a pair of gloves online. However, what i discovered was a place for keepers both young and old that provides excellent advice, high quality gloves (the J4K Pro Duel are fantastic in the wet and dry and i can't speak highly enough of them) and kit for an extremely honest price that I haven't found anywhere else online. The free courses on offer are spot on and are genuinely helpful and Ray is around on emails if you have any questions. I wish I'd discovered J4K sooner! Im Marc Sotile from the Rochester lancers professional indoor soccer team with a good friend and fan,garygriffo,started wearing the j4k gloves this season and am now a huge fan!!! These are by far great quality and very comfortable,great grip,great protection, I give these a "10" thank you J4K!!!! Before I bought my J4K gloves I wore out 3 pairs of gloves a season including Umbro, Addidas and Nike and I hurt my wrists. I will only buy Ryans gloves from you and he's never had any gloves from anyone else. Here is a picture of my son on his 12th Birthday with his new gloves. He tells me he is more confidant now catching and holding the ball rather than just pushing or punching it away. Your gloves are top quality and great value. To me as a proud Dad, J4K made all the difference to his abilities as a keeper, and his J4K kit gives him a confidence boost. have been wearing Just 4 Keepers gloves for over a year now. I have had several pairs and find them amazing, the grip is really good and they are comfortable to wear. They have also helped me keep 12 clean sheets out of 13 games this season. They are great. Its always great to wear the just4keepers gloves-The one and only trusted brand. In my first season playing in goal...and already won man of the match four times! The gloves are great - good grip in the wet - just wish I had bought the ones with spines in the fingers for protection too! 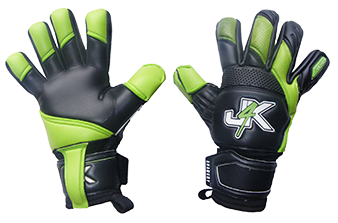 "J4K goalie gloves are the best gloves I've ever worn. They are comfortable and well padded without losing the ability to catch the ball. I wouldn't use any other gloves now". 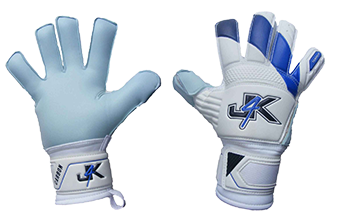 I have used j4k gloves for the past year now when I coach my keepers,as well as being comfortable they are far superior to other brands I have used and last several months longer.A number of our young keepers have also switched from their brands to j4k gloves and all happy with the quality. Thank you J4K for all the guidance, videos and excellent equipment that have aided Matthew along the way. We look forward to the day you decide to open a location here in the Gwinnett County area. "They are very comfortable, and I don't always know when I'm wearing them, and the style is brilliant." Thomas has also had a look at the 50 /50 gloves and is keen to get a pair, as – to use his words again – "I don't know anyone else who will have green latex on their gloves. They're special"
1st of all I would like to thank you for sponsoring my son Blair he is 15 and plays for Rothes juniors. He wore his gloves today and he said they were amazing, very comfy and have a great grip, I have bought him many named brand gloves in the past and he hasn't said anything like this before. I have attached 2 photos of him wearing your gloves, keep up the great work you and your team are saving us a fortune on goalie stuff. This a picture of myself winning MOM thanks to the superb of the grip of the J4K gloves. I have been using the j4k ghost gloves for the past few weeks now and they are the best gloves I have ever had so thanks for making an outstanding glove AGAIN!!!!!!!!!!!! Hi I am a 14 year old keeper from Birmingham and just wanted to say your Just4Keepers REACTION gloves are amazing! Its my first season in goal and i have already gotten through 3 pairs! These gloves are the most comfortable i have used to date, they helped me save a penalty, so thanks for making the awesome gloves. Thanks for the advice Ray. I purchased gloves for my grandson just before I purchased gloves from yourself (and got a free pair as promised), the retail outlet I previously used (major outlet which has just gione bust, mentioning no names) advised us to wash the gloves in the machine with the rest of my grandsons kit, as you have said, the latex fell off them in no time at all, I went back to the shop and complained only to be told that we should have used Fairy Liquid and then dried them on the radiator, which we did only for the gloves to go rock hard and useless. I went back to complain only to be offered more expensive gloves at full price.........by now I had paid £110 for three pairs of gloves, all useless. I had read in one of your e mails previous to the one sent here that you should use only warm water and allow them to dry naturally after towelling them. Excellent advice as usual from your good self. By the way, the gloves I purchased from you (2 pairs, one being the free pair) are still in excellent condition, even though my grandson trains three times per week and plays for the school once per week, a saturday team and a sunday team. I would highly recommend Just 4 Keepers gloves and equipment to any aspiring and experienced keeper. thankyou for the sponsorship on my last pair of gloves !! they are both amazing!!! definatly bE BACK SOON! and thanks for the other linkn!!!! i have just bought a pair of pro roll gloves for my son who is well impressed and maywell be using these as his first choice gloves for match days. he is impressed with wrist support as this has been a issue for him as he has wide wrists. He is old school as far as the design in colours and always preffers a white glove. the gloves you are produceing are good quality and that is something you should never change. as my grandad said to me don't fix what is not broken. My son Ellis has been using j4k gloves for the last 2 years. After trying many brands he says that they are the best & feels confident when wearing them. I recieved my j4k pro dual gloves on thursday, i had a match today and wore them or the first time. I can safely say they are the BEST gloves i have ever worn! I kept a clean sheet, and the ball stuck to my hands. i'm so impressed by the standard of the glove and the price!